The superior range of Motors with Encoder that we offer to the clients has enabled us to sculpt an outstanding image for ourselves in this competitive market. 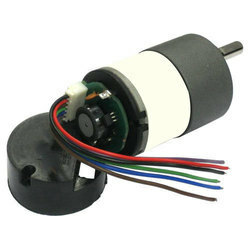 Technically advanced, these motors are carefully fabricated at our vendor’s production unit using excellent grade components and with the aid of advanced machines, to ensure their reliability and durability at their user end. Backed by a team of dexterous professionals, we have been able to source and supply a comprehensive assortment of Incremental Encoders. Our professionals stringently procure the range from leading and trusted vendors of the industry who manufacture each and every batch using high grade raw material and components. Available in board range starting from 300 ppr to 4096 ppr HTL/ TTL, these encoders are offered at industry leading prices to or valued clients. 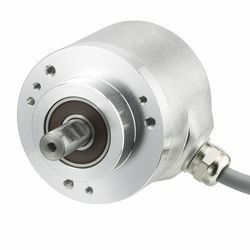 With the efficient support of our associated vendors, we have been able to offer a Heavy Duty Encoder with Connector. Following the set norms and standards of the quality, these encoders are efficiently manufactured by the engineers of our vendor’s using premium quality raw material and cutting-edge technology. Moreover, the range is stringently checked by the team on varied parameters to rule out even minute manufacturing defects. 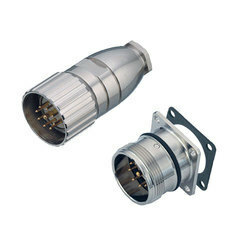 Looking for Industrial Encoders ?